Legion of Mary St. Augustine Curia There are no pop-ups on this website, if you get one, close it immediately! 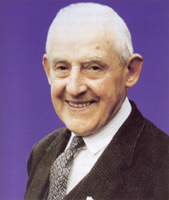 The Concilium Legionis Maria has requested that the prayer for the beatification of Frank Duff be said at the end of each meeting following the closing prayers and be said each day by all members--active and auxiliary. 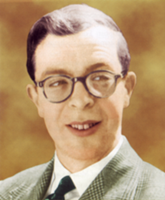 For more information on the cause for Frank Duff, click here. website complies with the guidelines of the Concilium Legionis Mariae. New Saints Coming Soon? 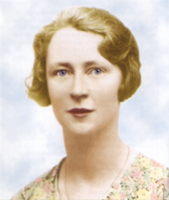 - Servants of God Click here for their bios and prayers for beatification. NEW MATERIAL IS BEING ADDED FOR YOU ALL THE TIME. We have the complete book "Theology of the Apostolate" by Leon-Joseph Cardinal Suenens with letter of Papal Approbation in PDF to read or download. There are a variety of forms, guidelines and various other documents in including a booklet on Handbooks Reflections from Concilium. Father Jose. former Jacksonville Comitium Spiritual Director, reminded us at the June 2010 Curia meeting that while the Year for Priests is over, we should never stop praying for priests. Click here to go to page. Fr. Jose also recommends we say the prayer to St. Michael the Archangel often during the day. This site is always a "work in progress." Please notify webmaster of any errors or broken links, etc. The meeting agenda and other documents will be placed on a page using Adobe PDF format so it should be easier for you to copy. Download a PDF reader here! We are continually looking for more material to add to our downloads sections. We are adding some different forms and guidelines for praesidium officers. Some of these are in the DOC or ODT format so you can download them to your word processor and edit them. We also added a a section of "ALLOCUTIOS - Talks to Legionaries" by outstanding speakers. If you have any suggestions, or want to submit an article, e-mail our webmaster. A native of Jacksonville, Fr. 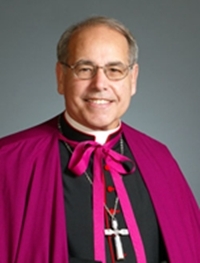 Murphy is pastor of Corpus Christi parish, St. Augustine. 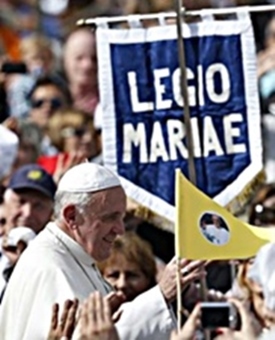 The Legion of Mary has the official endorsement of the Vatican. Click here to read the decree. 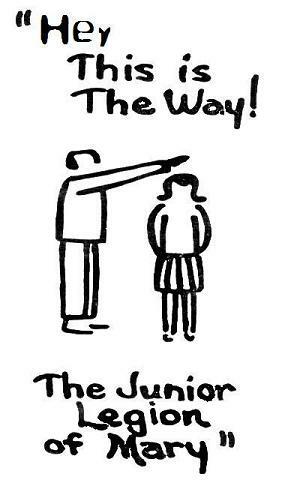 Click Here for the Legion of Mary Child Safeguarding Policy. Be patient without envy, kind without offense. Be without anger, pride or ambition. Think ill of no one; suffer and tolerate all things. Do things calmly, peacefully, patiently & with perseverance. Below: Fr. 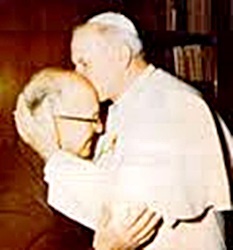 W. Aedan McGrath embraced by St. John-Paul in 1979 prior to his return to Asia. "Totus Tuus Ego Sum" the song you hear playing now. ALSO Check out our Video page for a U-Tube video by Father McGrath - MUST SEES! V: Saints Michael, Gabriel and Raphael. R: Pray for us. 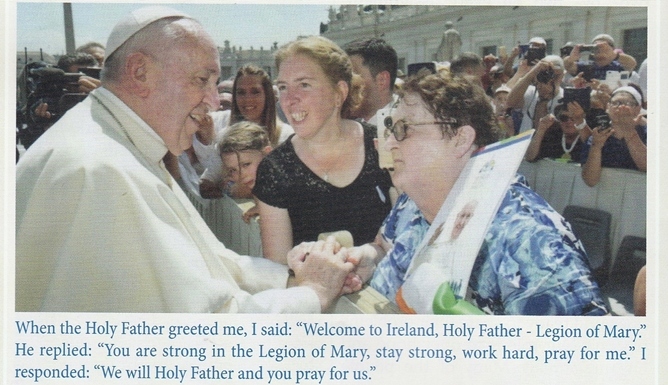 Pope Francis: "You are strong in the Legion of Mary. Stay strong! Work Hard! Pray of me!" see picture bottom of this page. 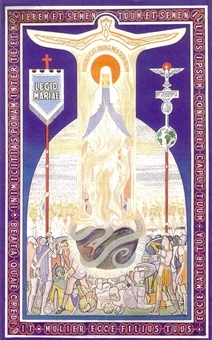 "The Legion of Mary presents the true face of the Catholic Church"